We are working with variety of vendor factories who have various compliances. We have an internal assessment team who carefully selects the vendor factories according to our clients compliance needs. 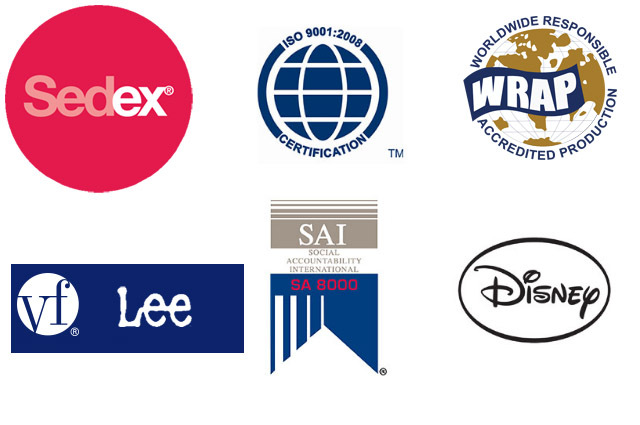 We have compliance factories having Wrap, Sedex, and Disney Certifications. We are a Social Accountability and Ethical Sourcing Organization. Some of our vendors having ethical compliances like SA 8000. Our compliance team will audit the compliance certifications of vendor factories from time to time, to assure our promise towards client’s compliance requirements.